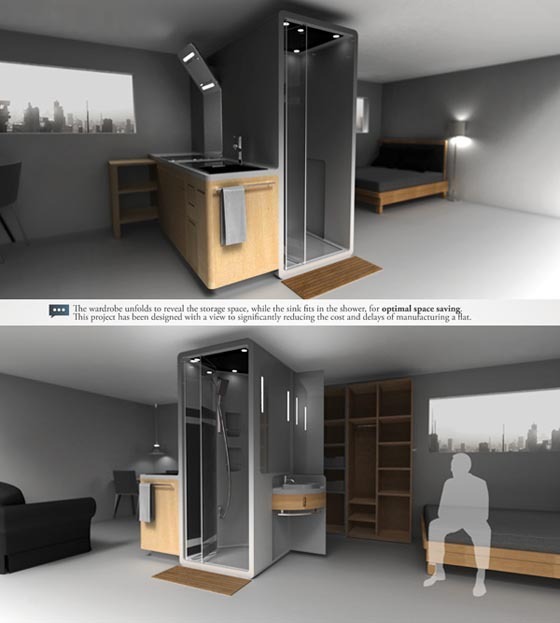 Cook&Bath is a clear furniture and room division to maximize living space, especially for the ones who don’t have the privilege of such. 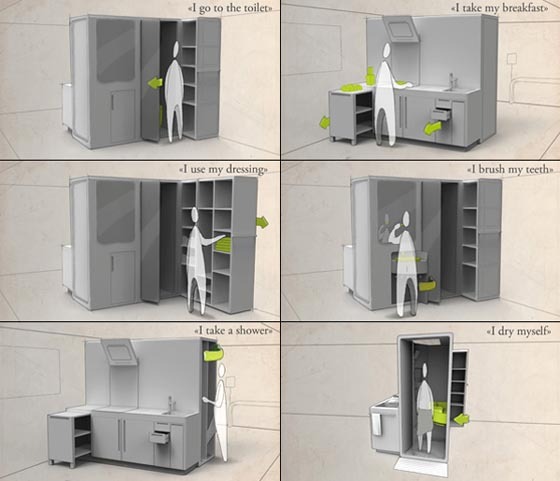 It works as a kitchen, bathroom and closet rolled into one. 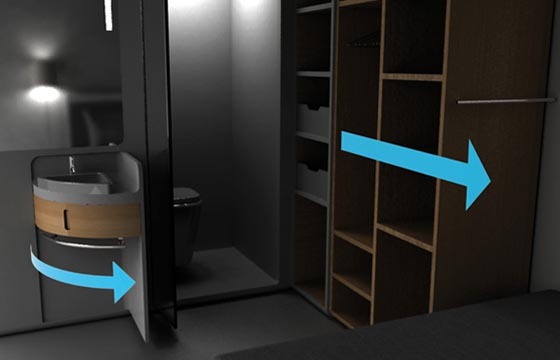 By using a centralized bathroom-shower space as the room division, the wall is eliminated which allows you to make the most of the space restrictions. Moreover, Cook&Bath centralizes energy flows to save electricity and recycles used water. 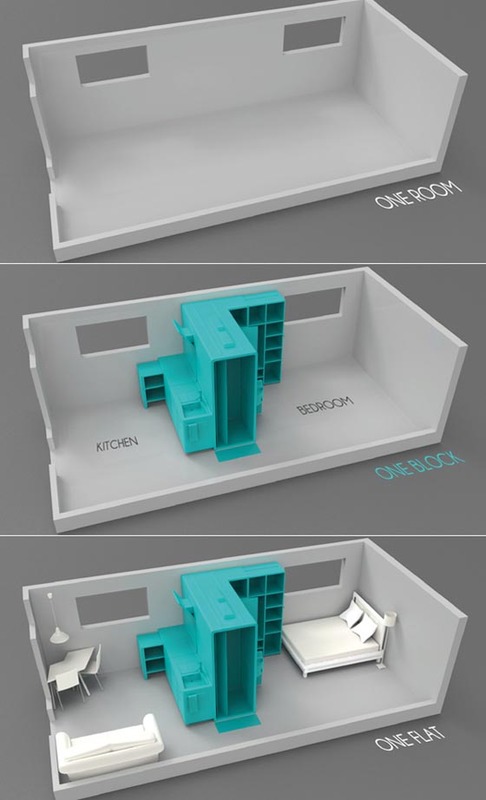 It looks like a prefect option for small room.